It´s a simple blouse, the pattern is from Burdastyle 11/2013, model 103. As you can see, it is pretty straightforward, no careful fitting or special techniques required. The cuffs could be a bit wider because as they are now, I have to unbutton them every time I want to put on or take off the blouse. But of course being so narrow they create a beautiful bell shaped sleeve. 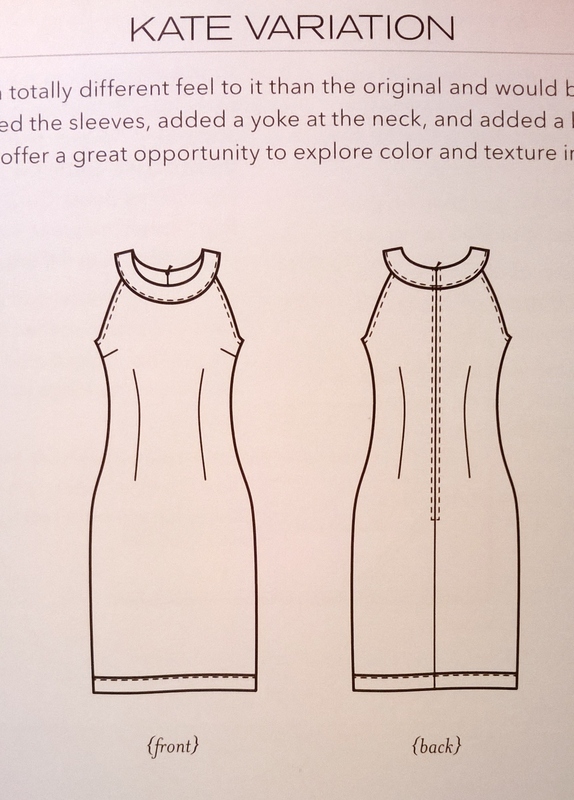 The sleeves actually have a dart on top of the shoulder and it is not obvious from the technical drawing. The construction is also interesting and simple at the same time because initially you only have to sew a part of the sleeve attachment seam and then close it with one continuous seam on top of the shoulder together with the shoulder seam. Recently I am very much into this wine or bordeaux shade as the feather print of this fabric. It is polyester and I wish it was rather a mix of some natural fibre because of static electricity but still, could not not buy it when I saw it. I have a beautiful plain fabric in the same colour and I will make a pencil skirt to go with this top. But those red shoes have leather soles and I just remembered a funny story related to them. We once went to a winetasting date with my then boyfriend (I actually think it was Beaujolais Nouveau Day in November) and totally forgot to think how are we going to get back home after all this tasting and drinking since we drove there but the celebration was in the middle of the week and yes, in this small town in the middle of a winter week you actually can´t get a taxi! And I was wearing my 10 cm heels with leather soles and it was half raining/half snowing outside….. So what did he do? He carried me on his shoulders all the way home, taking several breaks on the way. We had crazy fun and I guess even just this would have been enough to marry him, right? I once again did not manage to post anything in November, but it has been really tough to balance work, school and everything else that I want to and have to do lately. Nevertheless, I was determined to continue the tradition of an annual party dress! The photos, however, were taken just today, as I didn´t manage to do it at the Christmas party in more festive surroundings. 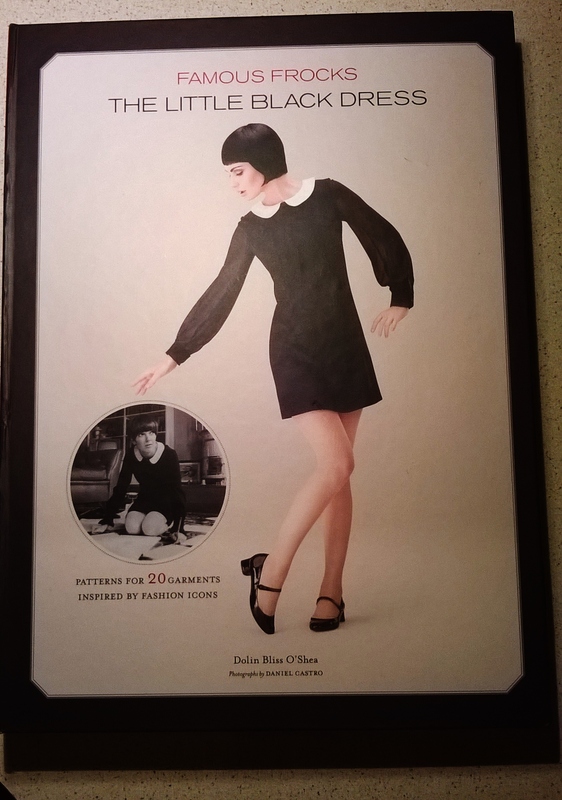 The pattern is originally from Knipmode (I am not sure which issue), but I got my pattern from its German version called Fashion Style, from August 2015. I cut the size 38 for the bodice and gradually widened to size 40 for the skirt. The dress is fully lined and due to the interesting back, was a bit of a challenge to complete and fit. I think the dress still is a bit wide for me when I look at the back cross detail, but I actually did not notice it before so now that I have been wearing it in public I think I am completely done with it and there is no way I would rip it open once again. Anyway, I guess anyone who has tried to take photos of their garments, knows that details otherwise not visible have the habit to appear in the photos. Despite of that, the dress feels very comfortable to wear and although the fabric is just a cheap polyester, it is somewhat heavy-ish and falls nicely. I suspect that the back detail would also fit better if the fabric had more stability, like the cotton stretch that has been used in the magazine samples. In order to offer some stability for the back detail, I used fusible interfacing for the outer details of the back. The seam allowances are finished with bias tape and I used French seams on the lining. I really like the pattern, since it canbe combined with a jacket and then look totally suitable for office/work environment, if necessary. The shoes are Dune Claudia, super comfy party shoes, I also have them in black patent/suede combination. I know that quite a lot of people find animal prints tacky, but I really loved this fun combination with blue suede and they are a nice accent for the one-color dress. I am afraid new year will start as busy as the ending one, so I don´t know when I will be able to post something again, but I am still spending the scarce free time I have with my sewing machine. 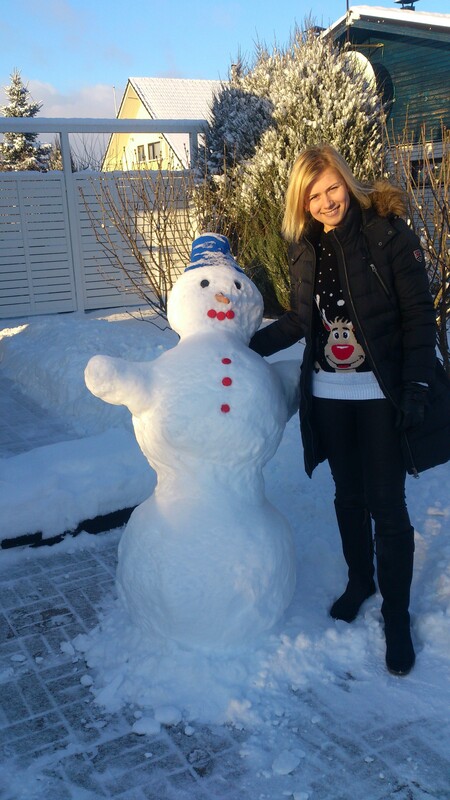 I hope you have wonderful holidays and a Happy New Year! I am usually not into using the same pattern repeatedly, but after stumbling upon some discounted bright turquoise blue double knit which I just had to have, I needed a simple pattern to show off the color and avoid visual overkill. I immediately thought of my Zig Zag Znake Dress and McCall´s pattern 6243, view C.
Since the pattern was already prepared, I needed a few evenings to nearly finish the dress, but still had to stitch the last 20 cm of the hem by hand in a few minutes before a concert I attended last Sunday. It seems now that this celebrated the last summery evening of this weird summer, where the weather has been into extremes only – either very hot and dry or then pouring rain like there is no tomorrow. 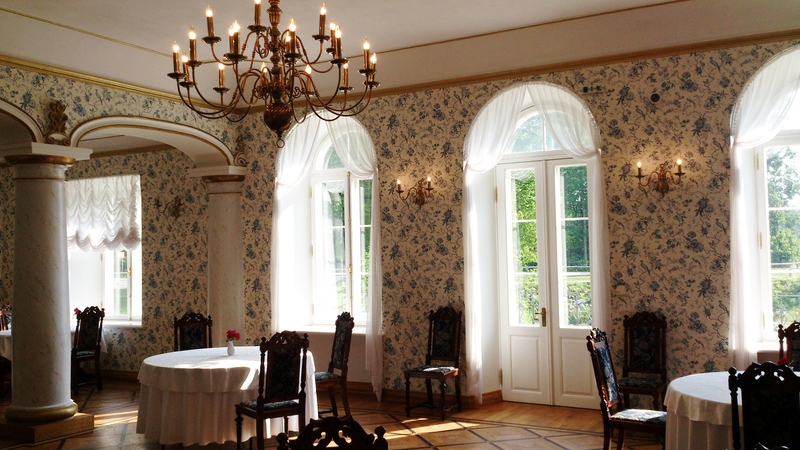 The concert took place at yet another beautiful manor of Estonia, this time a wooden one called Kõltsu. If you are interested, check it out here. I have used zippers for the diagonal seams. It was a random idea that occurred to me as I was wandering around the fabric store and trying to picture the dress in my mind. At first the idea was to use golden zippers for some extra bling, but the ones that I managed to find did not look nice when unzipped, the teeth appeared yellow instead of golden, as if the gold was only sprayed over the zipper. I finally went with a matching shade and got two 80cm zippers, of which I only used a half on each diagonal seam. The hardest part was removing the zipper teeth from the seam allowances. As you can see, I am repeating myself not only with the pattern, but with the color combination choices as well. I do have a LOT of shoes, but when it comes to turquoise color, I only seem to be able to match it with some kind of a pink. I also thought of a pair of golden wedges, but for this particular event I felt more comfortable wearing flats. I am not very satisfied with how the dress looks on the backside. The nylon/spandex double knit is lighter in weight that the cotton one I used for the previous version (the Zig Zag Snake Dress). As a result I should be very careful with my underwear choices the next time I wear it and I am also considering adjusting the dress even more for my swayback. The fabric doesn´t fray at all so there was a great temptation to leave the hemline and arm and neck holes unfinished. In the end I still went the traditional way and stitched them by hand but didn´t bother to finish the seam allowances on the inside. All in all it is a great summer project to make – quick and fun! Hey there! Just a few days ago I had a great opportunity to visit Padise, one of Estonia´s many manors and enjoy a concert in the ruins of a monastery nearby. For that event I finally managed to finish a dress that I had started exactly a year ago! I don´t know how it happened or why did I stop, but really, it took me year to get my act together and finish the zipper side seam (the zipper was actually already set in!) 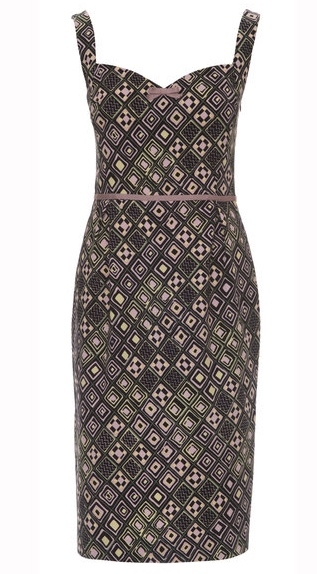 and the hemline…. oh well. But I am very satisfied with the result, the only regret is not having finished it earlier! The dress is model 116 from BurdaStyle 4/2013, aka the Sweetheart Dress on burdastyle.com. 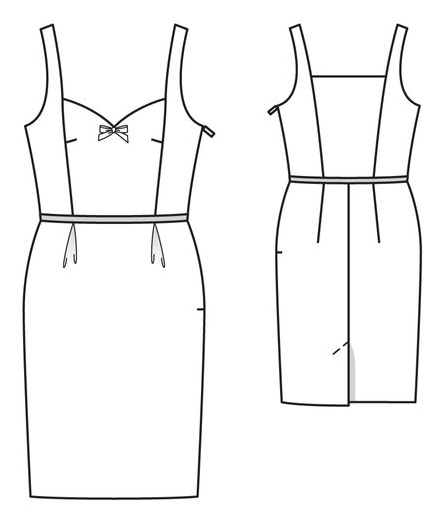 I cut Burda size 38, but I might have left wider seam allowances for the hip area to ensure that I can make it fit. I cannot be really sure, because I started sewing the garment already a year ago…. I think what eventually made me stop halfway was the bodice and the shoulder seams, although it is ridiculous because the most difficult part was done by this time last year. Maybe I just ran out of energy for this project, but yes, cannot say that the bodice is so easy to make, especially if you want the corners of the front and back shoulder straps to look sharp. In my case, it was also the rather thick, pique fabric (cotton mixed with some elastane for slight stretch) that I chose, a souvenir from my last years trip to Austria. It was rather tricky to get it fit right with all the facings and sharp corners. With hindsight I think maybe the dress would be better if I had bothered with a lining instead of the facings that I had to bias tape one by one, adding quite some bulk like that. I also planned to make it a bit longer at first, but while trying to determine the perfect length, suddenly the shorter look seemed more fun. I guess it supports the playful colour of the fabric. 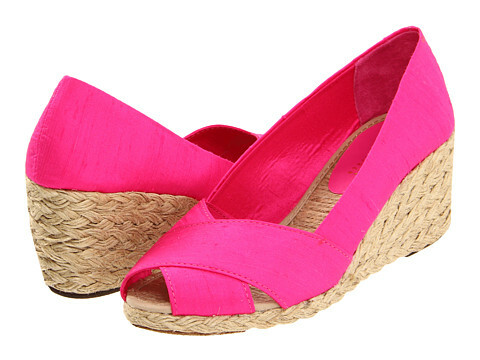 If anyone is wondering about the shoes, these bright pink silk shantung Ralph Lauren espadrilles are another souvenir from Austria last year. There are lots of shades still available on amazon.com. Very nice, but for narrower feet, just like mine. As you can see in the photos, we finally have some real summer here in Estonia this year and I am so glad for it, I can finally wear my dresses and not only the raincoat! I hope all of you in the northern hemisphere are enjoying your summer as well!